Pico-C with PC light. This light is discontinued and will be replaced by LED Light. 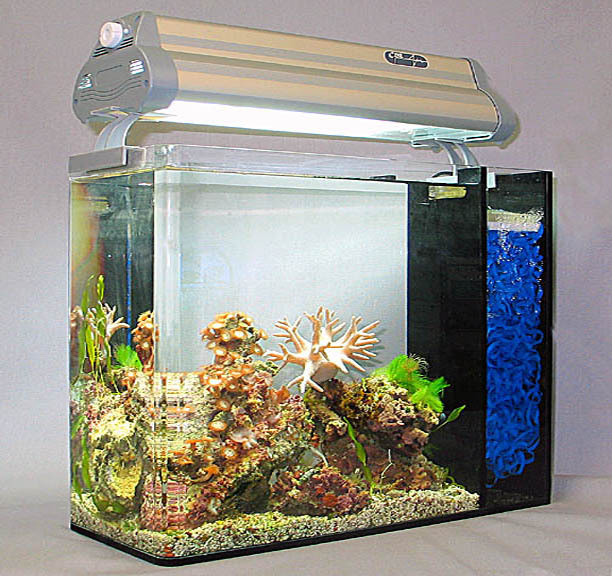 The Pico-C desktop display tank is the newest addition to CPR's popular LifeTank series. 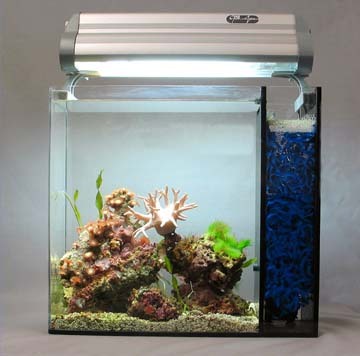 This 3 gallon all-in-one tank with built-in biological filtration, with its 13.5" x 5.5" footprint will easily fit on virtually any surface. This versitile tank can be set up with fresh or salt water and is great for a small reef display, planted tank, or a small species aquarium. The Pico-C comes complete with an 18 watt CPR light fixture, Bio-Bale biological filter media, and return/circulation pump. Just add water and inhabitants and enjoy this great looking display tank! Complete with Lighting, Bio-filter and Return Pump!